When it comes to home maintenance, taking proper care of your home’s septic system should be near the top of the list. Failing to perform regular maintenance of this vital system could result in spending thousands of dollars to have it repaired or replaced, as well as pose a health hazard to you and your family. While the cost of septic system installation varies by location, the cost to have the system repaired or replaced is typically high regardless of where you live. You can avoid costly repairs or replacement by taking some steps to keep your system functioning at its best. It’s tempting to avoid regular pumping of your septic tank to save money, but the cost of having it pumped is much less than having to pay for repairs or purchasing a new system. How often you need to pump it depends on different factors, such as how many people live in your home or if you’re starting to notice signs of a problem. Solids from the bottom of the tank build up over time and can end up in the drain field where they begin to muck things up. Pumping removes those solids and keeps the system clear so it can do its job. 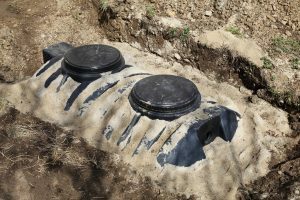 If you’ve recently performed a septic system installation, you probably won’t need to worry about having it pumped for a while, but it’s still a smart idea to watch for any signs of trouble so you can stop potential problems before they get worse. Some signs to look for include sluggish drains or toilets, odors, and standing water near the drain field. If the problem is allowed to continue too long, it could also result in sewage backing up into the house. Whether you want to perform a septic system installation, have your tank pumped, or need repairs or a replacement, an experienced professional can get the job done right. Don’t leave this important aspect of your home’s health to chance.